It’s been raining for more than a month already, I was a little bit worry if I can still get a chance to see the supermoon tonight. Although the rain has stop today, but the sky is still very cloudy and can not really see the moon. 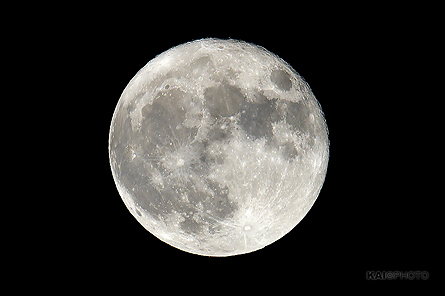 I was keep going in and out to check the sky, and finally got a clear view of the moon at 8:45pm. The moon was 356,511 kilometres away from the center of Earth, the closest occurrence since January 26, 1948, appearing 14% bigger and 30% brighter than usual. Missed this time then you will have to wait until November 25, 2034.